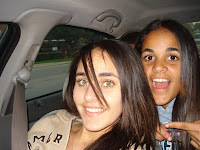 Texas Honor Killing- Egyptian Father Murders 2 Teen Daughters UPDATE: Another Honor Killing in Chicago! Honor Killings in Dallas and Chicago- 5 People Are Dead Including Pregnant Mother! Sarah Said was an avid tennis player known as a silly but bright student. Her 18-year-old sister, Amina Said, was often called “the girl with pretty eyes,” friends say –Star-Telegram. Photo of murder victim Sarah Yaser Said 17 from Lewisville, Texas. Sarah, 17, and her sister Amina Yaser Said, 18, were murdered by their father, Yaser Abdel Said, late Tuesday. The father is still on the run. One of the teens called 911 on a cell phone about 7:30 p.m. Tuesday and said she was shot, but she couldn’t tell police where she was, Irving police said- AP. Police continued their search Wednesday afternoon for the girls’ father. Shortly after 4 p.m., SWAT team members from Lewisville and the Denton County Sheriff’s Department went into the suspect’s home in Lewisville, after posting barricades outside and standing watch for about five hours, intermittently summoning anyone inside to exit. No one was found in the home, police said. Yaser Abdel Said, the 50-year-old Lewisville father, remained at large, police said. He is accused of fatally shooting his 17- and 18-year-old daughters, police said. Investigators did not describe the domestic issues or say who was involved. Police said they suspect that Said may have shot his daughters — Sarah Yaser Said, 17, and Amina Yaser Said, 18 — and left them for dead in his taxi. Police say Said lived in Lewisville with his wife, two daughters and a 19-year-old son. Bryan at HotAir has been following the story closely. Atlas and Debbie Schlussel have much more. Police have received no tips about Mr. Said’s whereabouts but said numerous law enforcement agencies are involved in the search –DallasNews. Gates of Vienna has analysis. *** UPDATE: Another honor killing in suburban Chicago! A suburban Chicago man from India killed his pregnant daughter, her husband and his 3 year-old grandson by torching their home and burning them alive! A suburban Chicago man is accused of setting an apartment fire — killing his pregnant daughter, her husband and their young child — because the son-in-law didn’t ask permission for the marriage, prosecutors said. It took firefighters three hours to extinguish the blaze, which gutted the 36-unit Le Claire Station Apartments. Subhash Chander, 57, of Oak Forest, Illinois, was ordered held without bond Tuesday on three counts of first-degree murder, one count of intentional homicide of an unborn child and one count of aggravated arson. Prosecutors allege Chander used gasoline to start the fire late Saturday. The India native told police he disliked his son-in-law because he belonged to a lower caste and had married his daughter without his consent, said Cook County First Assistant State’s Attorney Robert Milan. “His son-in-law was beneath him in his opinion,” Milan said. The family of Rajesh Kumar in India said that they do not even have the means to go to the US to get the bodies and are asking for help. WMAQ in Chicago has video of the couple and their apartment building in flames. Monika Rani and Rajesh Kumar were expecting their second child. UPDATE 2: The manhunt continues for the Texas killer Yaser Abdel Said. The boyfriends of the two sisters are afraid the father may try to look them up.